T.G. 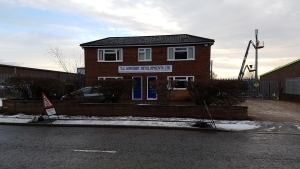 Sowerby Developments is a Scunthorpe-based firm of Building Contractors and House Builders which has operated in the Northern Lincolnshire region for almost 40 years. In that time, the company has grown to become one of the region's largest Family-Owned Building Companies. 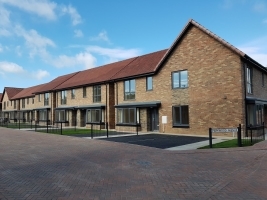 The Company specialises in New Build and Refurbishment projects for Local Authorities and Housing Associations, as well as Market Housing Developments and projects for the Private Sector. Directly employing a workforce of over 40 people and able to call on the services of a vast supply chain, the Company is geared towards delivering projects completed to the highest levels of quality and service and has gained an enviable and deserved reputation for doing so. Please take some more time to view our website, find out more about who we are and what we do and consider T.G. Sowerby Developments for your next Construction Project. An Extension to a Grade II Listed Building in Retford and New Build Construction of a Tennis Pavilion in its grounds. 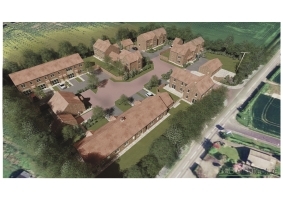 After a month and a half on site the Owlet Mews Development at Blyton is going extremely well and we've commissioned a video to show how it will look. Following the completion of refurbishment works to their Scout Hut, 1st Brigg Scouts presented TG Sowerby's Small Works Team with their DIY Badge! T.G. Sowerby Developments are celebrating a deserved win at the 2018 South Yorkshire and Humber LABC Awards Event.